As Fall season quickly approaches, the delicious stews and soups seem to emerge from the woodwork! This gives us some hearty and delicious meals for when we just want to curl up near the radiator and eat ourselves happy. 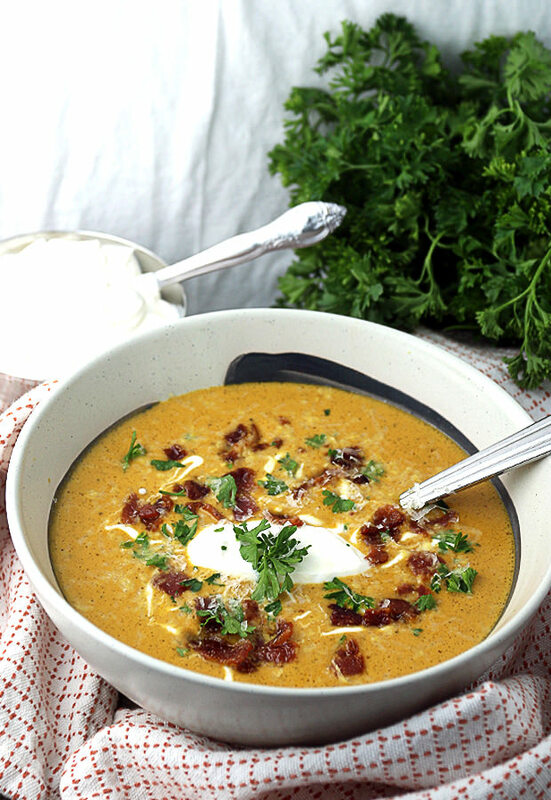 This is a pumpkin soup that is suited perfectly for the fall season. This delicious squash mixes together with the spices we know and love during this time of year – cinnamon, nutmeg, bay leaf -with floral notes from the coriander. 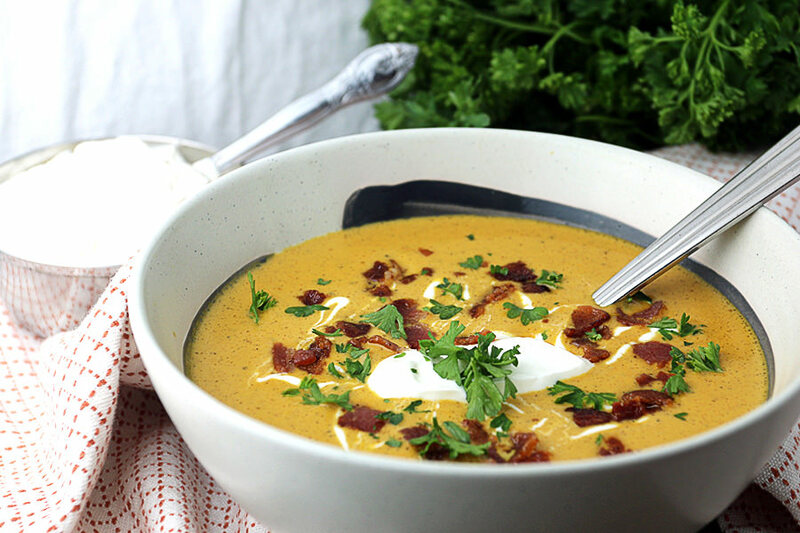 Fresh ginger and garlic give a fantastic lingering taste in the mouth that begs your spoon to dip back into this hearty soup and scoop up another bite. 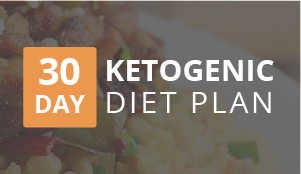 Protein is extremely essential on a ketogenic diet to keep an eye on. Too much protein? 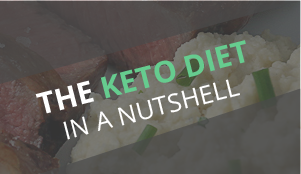 You aren’t in nutritional ketosis. Too little protein? 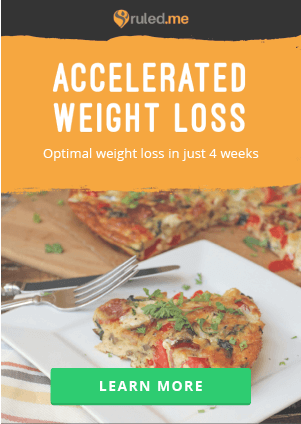 You face muscle loss. 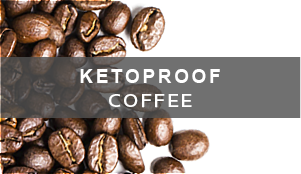 You have to track and make sure your protein is doing well, but I know many people have trouble with it. This soup is extremely high in fat, so keep that in mind. 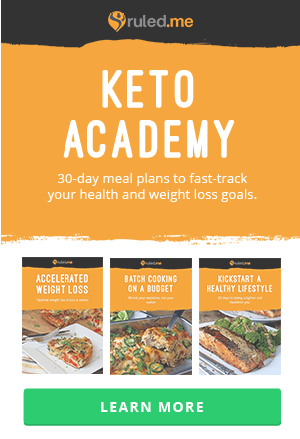 It’s mainly to give people ideas about how they can incorporate a lot of fats into 1 meal. 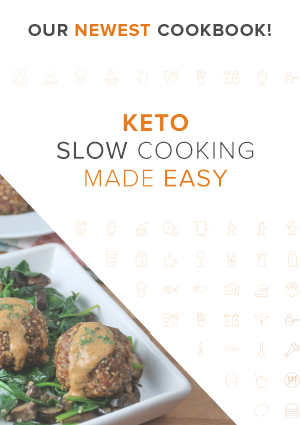 Though it’s best to keep your meals balanced, this gives a great example of how you can get plenty of fats, micronutrients, and flavor into your diet without adding in a lot of protein. My favorite thing to do? I love adding some shredded chicken into the soup when I am reheating it for dinner to add to the heartiness and to up the protein. Whether you do that is totally up to you! 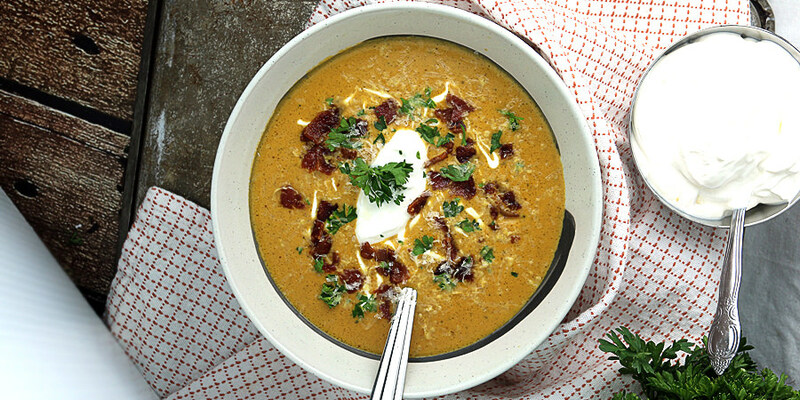 So, what are your favorite soups to eat during the fall season? What special twists do you put on your flavor profiles and additions? Let us know in the comments below! 1. 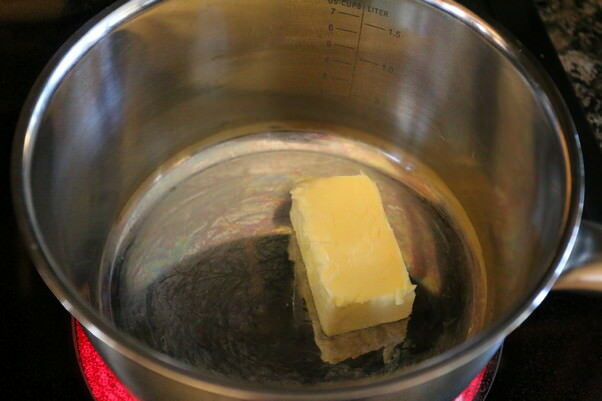 In a large saucepan over medium-low heat, add butter and let it melt completely. You want it to darken into a golden color. 2. 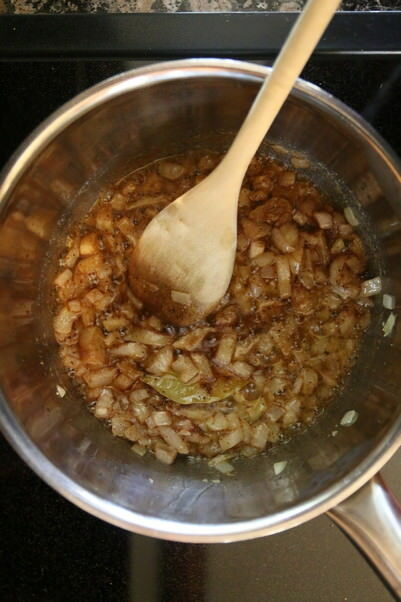 Dice the ¼ medium, mince the 2 cloves of roasted garlic, and mince ½ tsp. fresh ginger. 3. In a small container, mix together all of your spices so you have them together. ½ tsp. Salt, ½ tsp. Pepper, ½ tsp. Freshly Minced Ginger, ¼ tsp. Cinnamon, ¼ tsp. Coriander, 1/8 tsp. 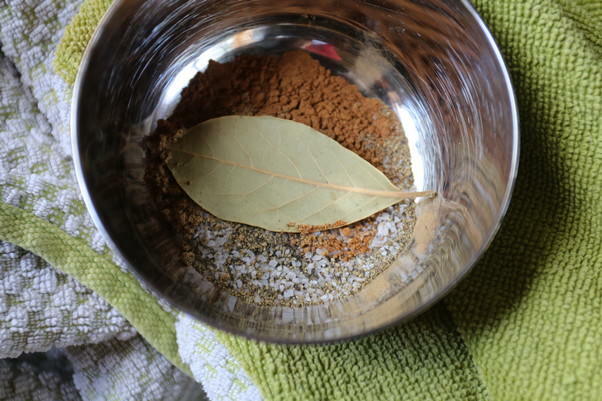 Nutmeg, and 1 Bay Leaf. 4. 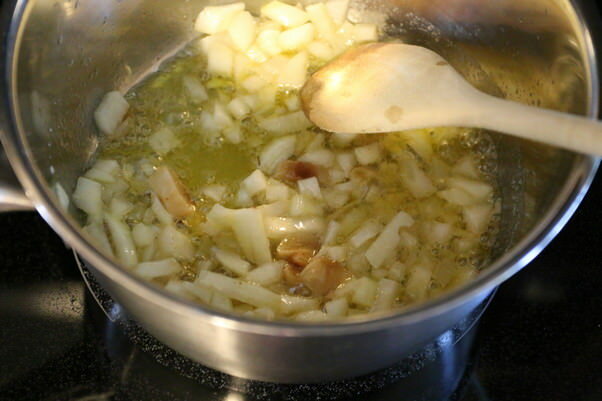 Once the butter has turned a dark golden color, add onion, garlic, and ginger to the pan and stir well. Let this saute for about 2-3 minutes or until onions start to go translucent. 5. 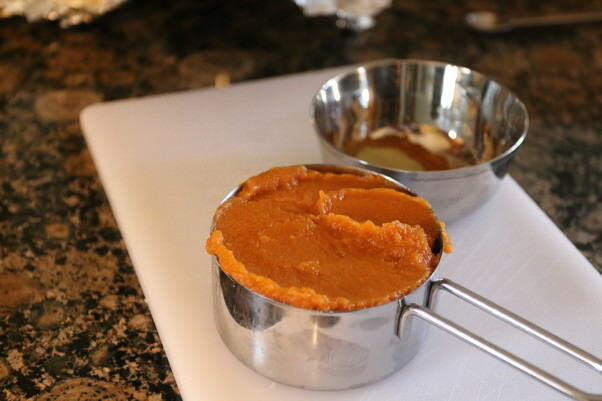 Measure out 1 cup of pumpkin puree and set aside. 6. 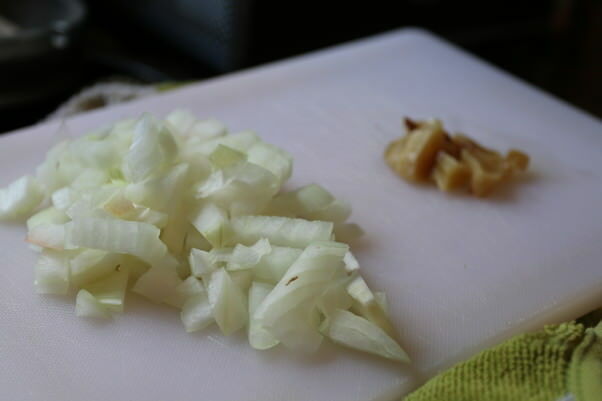 Once onions are translucent, add spices to the pan and let cook for 1-2 minutes. 7. 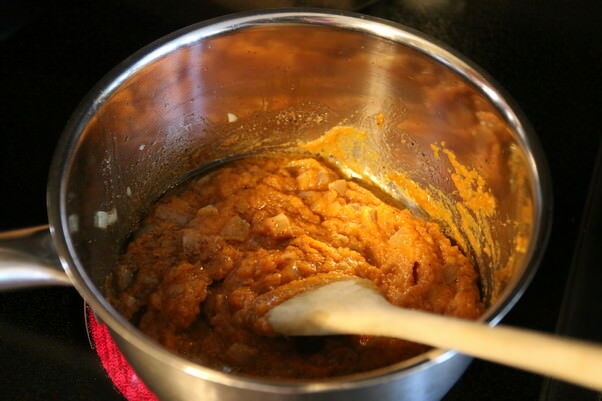 Add pumpkin puree to pan and stir into the onions and spices well. 8. 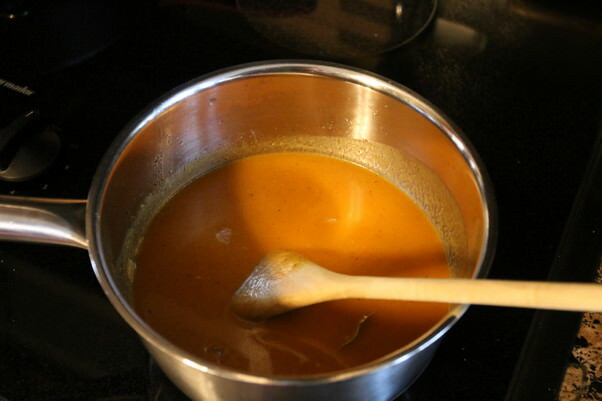 Once the pumpkin is mixed well, add 1 ½ cup chicken broth to the pan. Stir until everything is combined. 9. Bring to a boil and then turn to low, let this simmer for 20 minutes. 10. 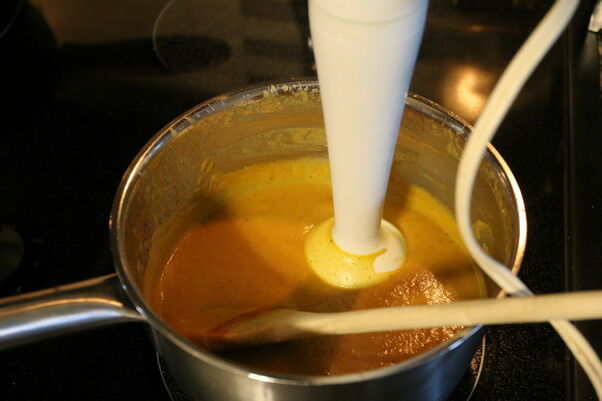 Once simmered, use an immersion blender to blend together all of the ingredients. You want a smooth puree here so make sure you take your time. Cook for an additional 20 minutes. 11. In the mean time, cook 4 slices of bacon over medium heat. 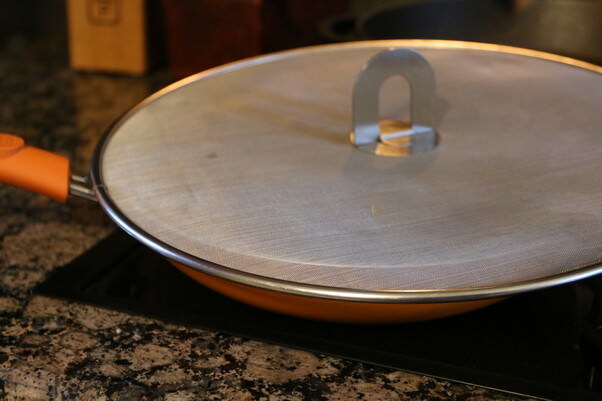 Use a grease catcher to keep the mess off of your stove-top. 12. 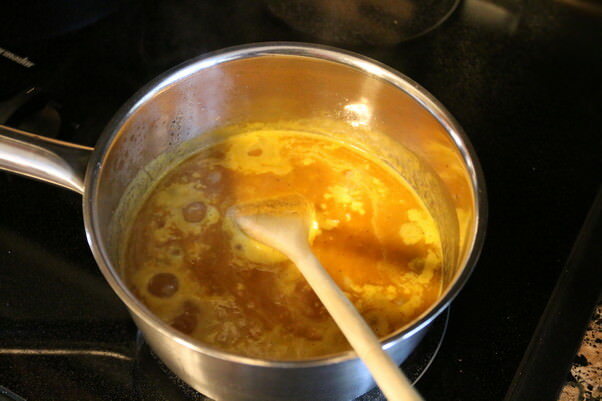 Once the soup is ready, pour in ½ cup heavy cream and the grease from the cooked bacon (this should be around 3 tbsp.) mix well. 13. Crumble the bacon over the top of the soup. Optional: Serve with chopper parsley and 2 tbsp. sour cream. This makes 3 1 cup servings. 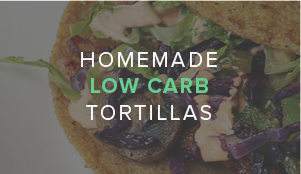 Each serving is 610.33 Calories, 57.95g Fats, 7.71g Net Carbs, and 14.44g Protein. Brown butter in a saucepan over medium-low heat. Once it's dark golden in color, add onions, garlic, and ginger to the pan. Let cook for 2-3 minutes. Once onions are translucent, add spices and stir in well. Let this cook for 1-2 minutes, then add pumpkin and chicken broth into the pan. Stir in well. Bring to boil, then turn to low and allow to simmer for 20 minutes. After 20 minutes, use immersion blender to puree everything smooth. Let simmer for an additional 20 minutes. In the mean time, cook 4 slices of bacon. 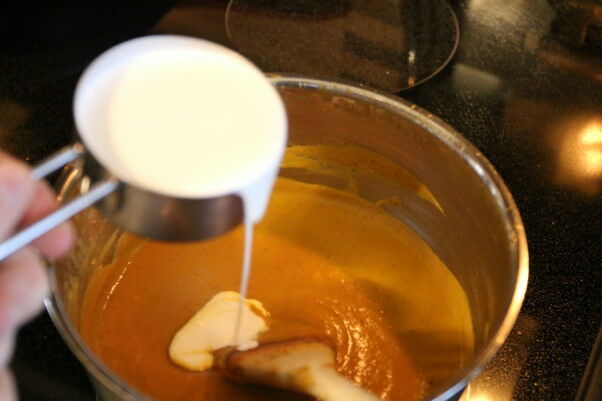 Once the soup is done, add heavy cream and bacon grease and mix in well. Crumble bacon over the top and optionally add chopped parsley and 2 tbsp. sour cream.